Several miles of secluded white sandy beach with plenty of room to play, relax, or gather shells, garnered Bowman’s Beach a #5 ranking in Travelocity’s 2011 Top 25 Beaches in the United States. This Sanibel Island beach is a bit of a hike from the parking lot to the beach. Follow the marked trail through the wooded area over the footbridge and dunes. Bring water and picnic supplies or snacks as there are no concessions available. Bowman’s is Sanibel Islands only beach with barbeque grills. Other amenities include parking, picnic tables, and restroom facilities. 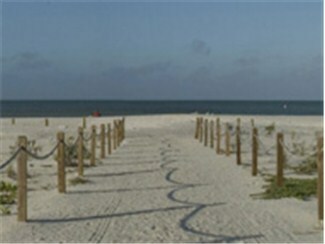 Bowman’s Beach is located off Sanibel-Captiva Road just past J.N. “Ding” Darling at 1700 Bowman’s Beach Road, Sanibel Island. Watch for the signs along Sanibel-Captiva Road at mile 4.8 (based on the mile markers along the road). You’ll cross San-Cap and follow Bowman’s Beach Road for 1/10 mile to the parking lot. There is a large parking lot, including a few spaces that will accommodate RVs or trailers. Parking costs $2 per hour, from 7AM to 7PM.